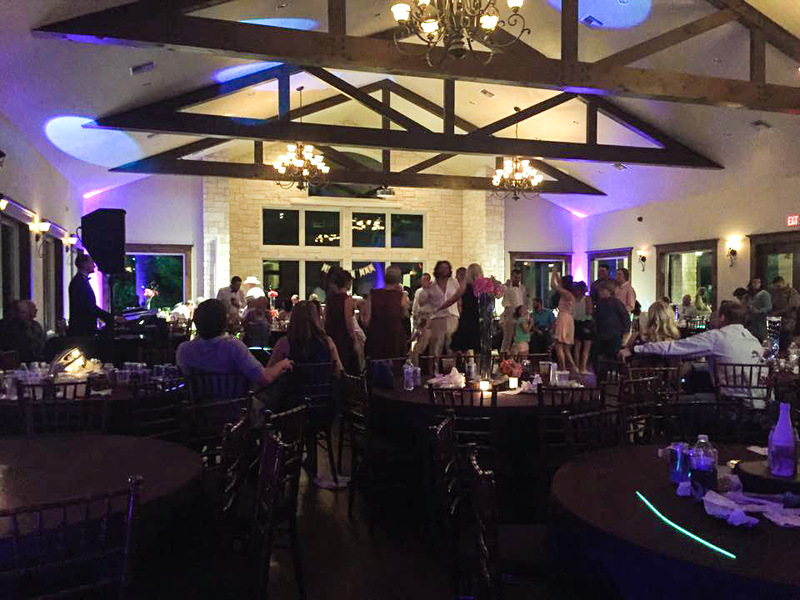 Broken Spoke Entertainment is a professional DJ and MC proudly serving Central Texas and surrounding areas. Our family owned and operated DJ service offers entertainment options customized to your specific needs at an affordable cost. From formal wedding entertainment, holiday parties, and casual gatherings needing a party DJ, we service it all. Our personalized approach for your company events, private gatherings, and more set us apart from other entertainment vendors. We take the time to get to know you, your style, special requests, and prioritize what’s important to you to ensure you’re wowed from start to finish. When you hire Broken Spoke Entertainment, you become part of the family. We’re looking forward to serving you and all of your entertainment needs for years to come. You’ll never have to question where to hire a DJ again. The best dj we could ever ask for!! This guy SWAM to get to us during this horrible flooding to make sure he got there for our big day! I would recommend this guy to all! Thanks again for everything Brian! You are awesome! Brian was our DJ for our wedding. He was simply amazing! He went above and beyond to personalize his service to meet our needs. I would HIGHLY recommend him!! Thank you so much for being a part of our special day. Y'all are professional, friendly, and very talented! Everyone had a great time on the dance floor! Brian & his father are awesome! They gave me every single thing I asked for and more. They even slowed down a very special song to me that I wanted to walk to that otherwise would have been too fast! Professional & highly recommended! Y'all were amazing! We appreciate the amount of detail you put into making our wedding absolutely perfect for us. Y'all were so flexible and 'go with the flow' which is just what we needed for that crazy wedding with all those kids... 🙂 We all had an amazing time! Brian was the very first vendor we spoke with at the bridal show and after talking with him I never even bothered looking at other DJ options. He was always quick to respond with any questions and offered suggestions along the way. He even helped us with suggestions on where we could place our head table- which I would have never thought of! We had some last minute large family photo announcements added in at the reception that he accommodated perfectly. I will always recommend Broken Spoke Entertainment to every bride I talk to!! We could not be any happier with the services they provided. Copyright © 2019 • Broken Spoke Entertainment.